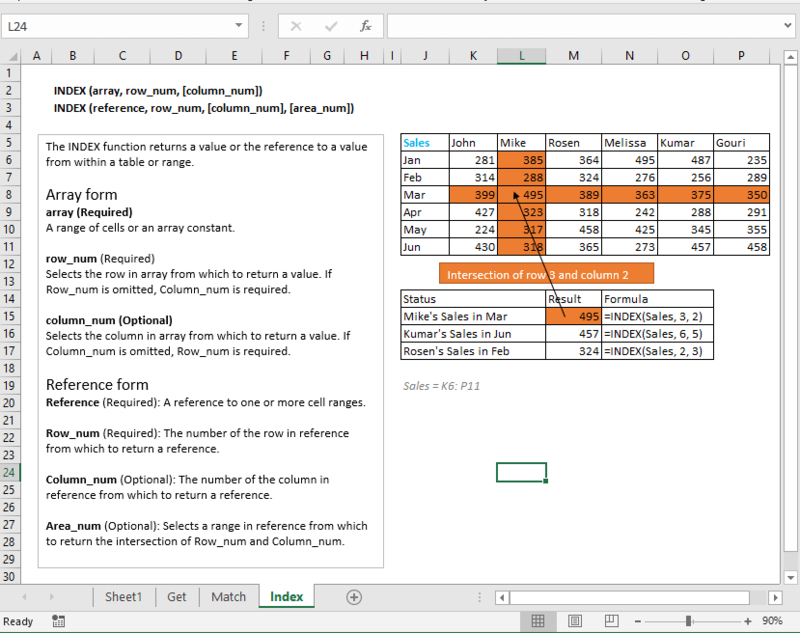 Getting data from another spreadsheet based on a cell value might be quite useful for some projects and reports. 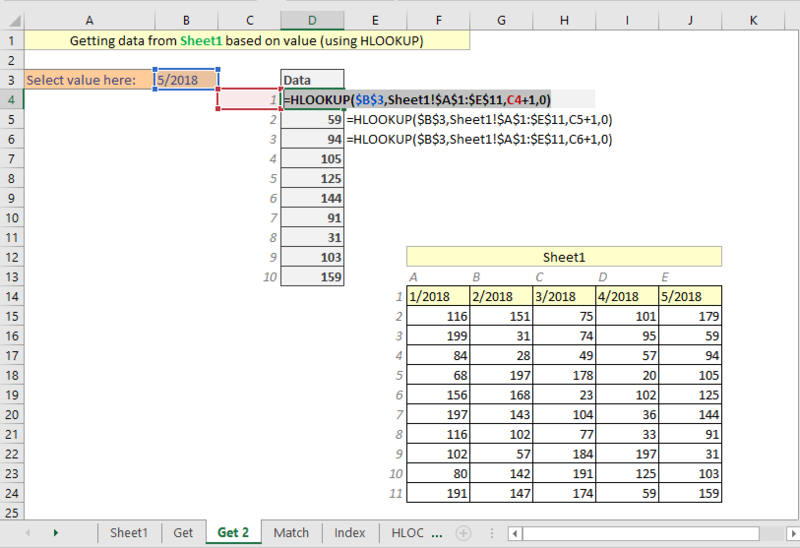 In this short article, I will show using Excel how you can get data from another worksheet based on a cell value. 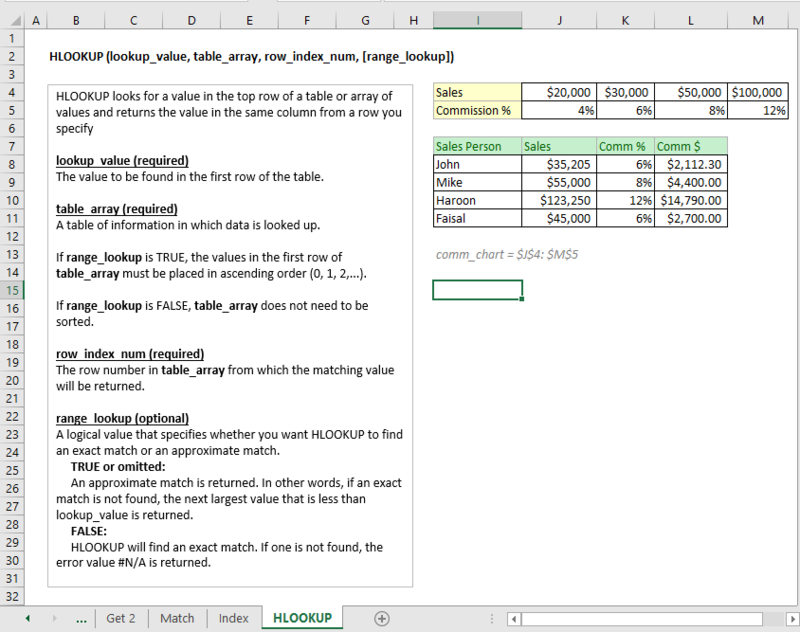 I will pull data using two ways: Using Index and Match function combo and using VLOOKUP/HLOOKUP Excel function. You’re seeing a worksheet (‘Sheet1’) below with some dummy data. In the following image, you are seeing my ‘Get’ worksheet data. In the B2 cell, you see I have input value 3/2018. 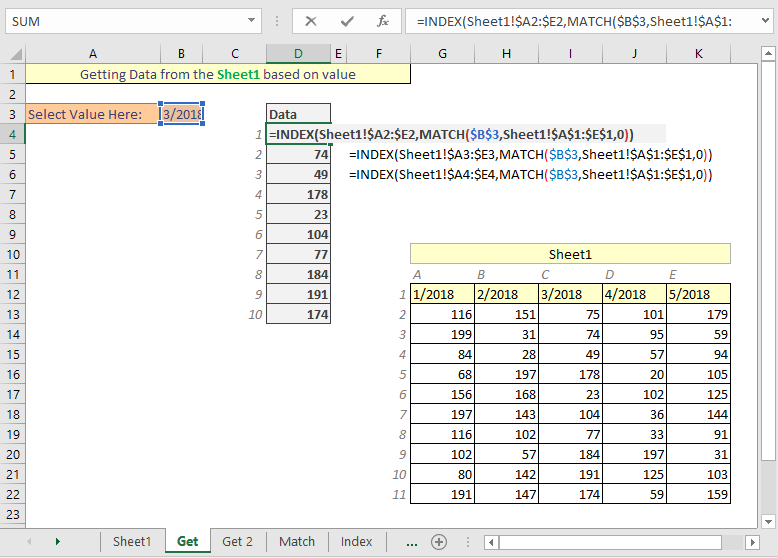 All the values from the ‘Sheet1’ worksheet and under the 3/2018 column are showing under the ‘Data’ heading. This is the formula that I have used in the cell D4 and then dragged down the formula for 10 cells. You’re also seeing the formulas of cells D5 and D6 cells on the right side of the cells. To understand this formula, you have to understand MATCH and INDEX functions at first. 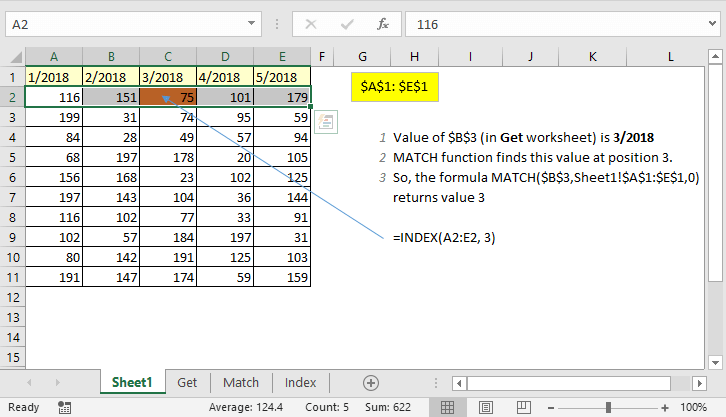 Match function returns the relative position of an item in an array that matches a specified value in a specified order. Check out the following worksheet. You will get the idea how Match function works. 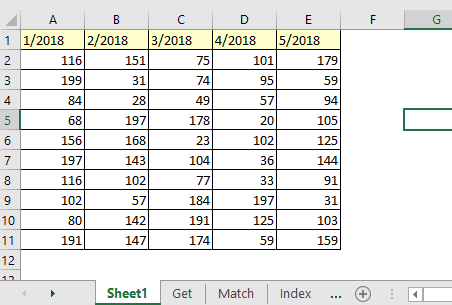 Index function returns the intersection value of two rows and columns in an array. Check out the following image. The gest of Index function is showed in this image. Let’s now explain how this formula is working. 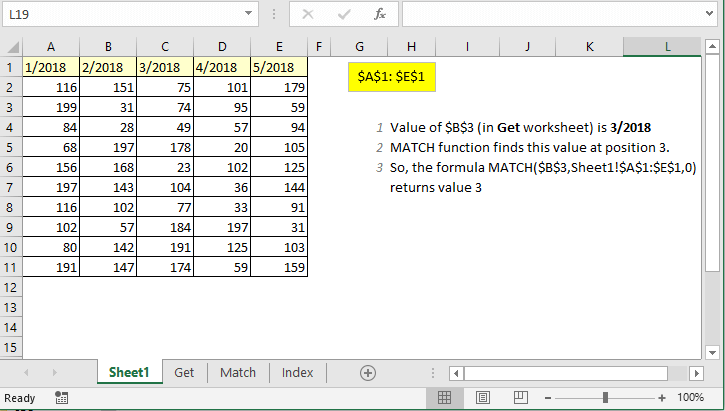 This part of this formula, MATCH($B$3,Sheet1!$A$1:$E$1,0), will find an exact match in this array ($A$1:$E$1) for the value in $B$3. Match function finds this value at position 3. So, the formula, MATCH($B$3,Sheet1!$A$1:$E$1,0), will return value 3. The interpretation of this part is very simple. Think $A$2:$E$2 as an array and its 3rd value is 75 (as there is no column to do the intersection) as you’re seeing in the image below. Let’s see how we can solve this problem using HLOOKUP excel function. 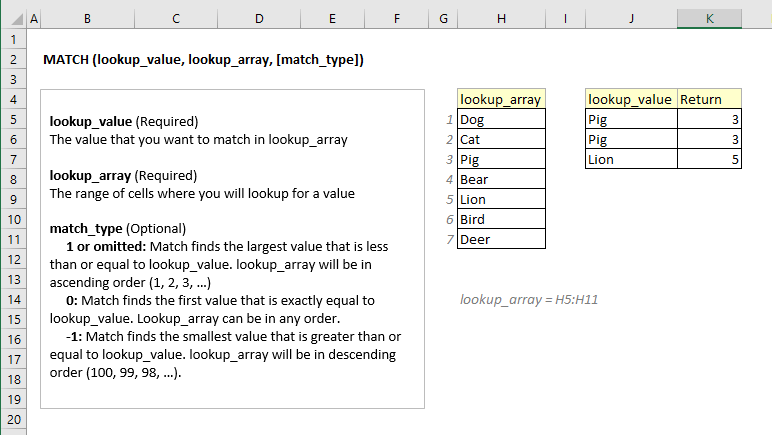 At first, take a look at the following image to find how HLOOKUP function works in Excel. To use this method, we will need a helping column that you’re seeing in the following image. If you understand the HLOOKUP function appropriately, then this formula is easy to understand. For your easy understanding, I have added a glimpse of ‘Sheet1’ worksheet (bottom right corner) in the same worksheet where I am applying the formula. This is a short article but there are so many things to learn from this article. 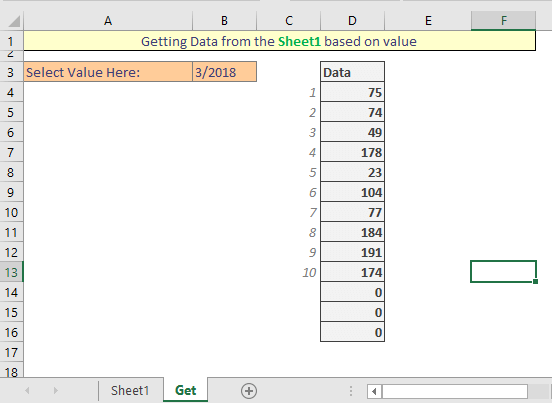 So, this is the way I can get data from another sheet based on cell value using MS Excel. Do you know any other technique? Let me know in the comment box. I am eager to learn a new technique on this topic. A very powerful message and useful presentation. Thank you for presenting this. Thank you for this useful article, nicely explained.